Jimmy Ellis, the lead singer of Philadelphia-based funk band The Trammps, which rose to fame with its top 10 hit Disco Inferno, has died at 74. 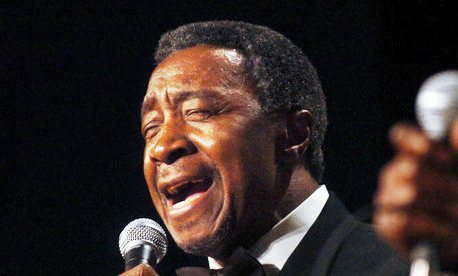 Jimmy Ellis passed away on Thursday, March 8, in South Carolina of complications from Alzheimer’s Disease. Disco Inferno, which featured the catchy lyrical hook “burn, baby, burn”, was a 1976 Grammy award-winning hit for The Trammps – founded in Philadelphia by Jimmy Ellis and his friends. Disco Inferno was immortalized on the soundtrack of Saturday Night Fever, the John Travolta-fronted dance fest that helped to propel his own career into the stratosphere in 1977. The trammps also recorded Hold Back the Night and That’s Where the Happy People Go. Jimmy Ellis continued to tour with The Trammps until 2010. The band had a constantly changing line-up, but the original members played together when Disco Inferno was inducted into the Dance Music Hall of Fame in 2005. Jimmy Ellis was born in 1937 in Rock Hill, South Carolina. He started out singing gospel music in church until he left for Philadelphia to sing with R&B groups. Jimmy Ellis is survived by his wife, son, eight grandchildren and two great-grandchildren.